Designing media for your company has to be memorable for your clients. 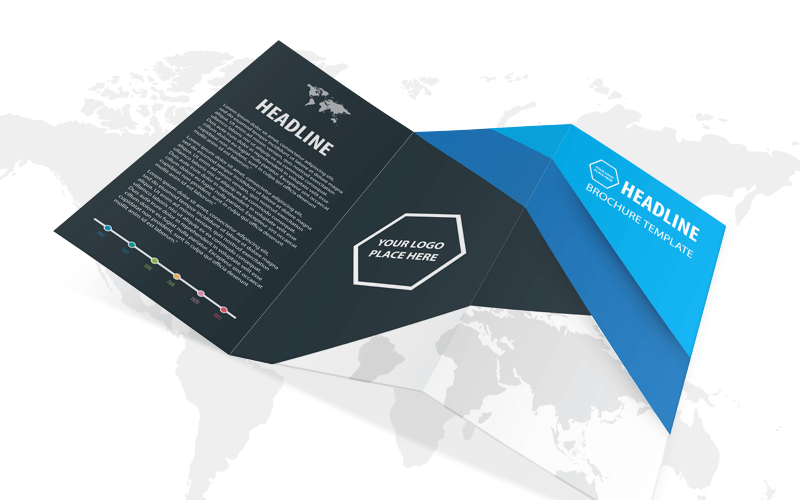 This article has information on how to design a brochure that is effective for your business. Do you think that the days of producing brochures have been replaced by the internet? Think again. Marketing brochures are still one of the most effective and versatile marketing tools available to inform customers about your service or product. Plus, they’re cost-effective, easy to distribute and simple to produce – even if you have no idea how to design a brochure. With all of that being said, it should definitely be a part of your marketing strategy. Don’t Know How to Design a Brochure? Don’t sweat it. We’ve got some design tips here to help you create an impressive and memorable brochure that your current and prospective customers will want to keep just as much as your business card. What’s the purpose of your brochure? Is it going to be an advertising tool? Introducing a new product? A contest? If you don’t know the objective, you won’t be able to effectively design it. Get as much information about the objective of the brochure as you can. And remember that everything you put into it will be directly communicated to your audience. So you want it to be effectively reaching them. Which is why you also need to know your customers. What is going to capture their interests? For instance, if you’re targeting tech lovers, then choose a design that’s clean, simple and streamlined – something that would appeal to their sensibility. And if you’re not entirely aware of who comprises your audience, question the folks on your sales force, or even your customers directly. Then map out their responses to create the best design. You might be tempted to use your favourite colours in the design. But keep in mind that your favourites might appear repulsive to others. Of course, you can’t make everyone happy. What causes one person to pass by a brochure could be exactly what causes another to pick it up. Your best bet, in this case, is to use your company’s signature colours. This is going to help with consistency and brand recognition. Then you can always branch out to different shades and tones if needed. Once you’ve got those colors picked, find images that coordinate with those colors. But they need to, once again, be intriguing and interesting to your target audience. Avoid generic images and find appropriate and relevant photos associated with the main theme of the brochure. You may need to invest in paid images. But they’ll be worth it to not have the same photos in your brochure that everybody else has. And it’s critical you use high-resolution images in your layout if you want a professional looking brochure. If you submit something to the printer that isn’t the proper resolution, it’s going to come out blurry or pixelated. The images you see on your monitor might look great there, but could be inadequate for your printed brochure. Be sure the images are at least 300 dpi to print clearly with full sharpness. Much like with your color choice, try not to go overboard with the fonts you want to use. So show some restraint here too. If your company already has a signature font, use that to keep the branding consistent. You can always fold in one or maybe two other fonts if appropriate. And by all means, avoid the fonts that were shipped with your software. Everybody has them. So search the web for a variety of free, interesting fonts you can use to make give your brochure a professional feel, while still standing out from the crowd. There’s no need to include an extensive list of all the achievements and successes of your company. You also don’t need to put every last bit of information about your product or service. This serves only to confuse readers and dilute the main point of the brochure. Instead, keep a sharp focus on what interests your market. Then home in one of those interests so the readers can grasp what you’re communicating to them. Also, ditch the big words. They may seem impressive, but they’ll actually decrease your credibility. You’ll look like you’re trying to be impressive and likely lose the ability to convey your main point. So keep it simple and conversational. You might have the most award-winning well-designed brochure the world has ever seen. But if it doesn’t include a CTA, then it’s never going to serve its true purpose. Your audience might be moved by your gorgeous brochure. But this alone will not motivate them to run out and buy your product or go to your event. That’s why you need to provide motivation for readers to try what you’re offering or get in touch with you. So be sure that your name, website, contact information, and email are easy to find in the brochure. And if your brand has social media accounts, add those too. You might even consider a QR code to make it extra convenient for your readers. 100lb stock paper is ideal. You could also go with 80lb, but there’s a pretty substantial difference between 80lb and 100lb. And it doesn’t cost that much more. Plus, a heavier paper will give your brochure a more professional appearance. And it could convince your customers that you have the edge on your competitors. You’ll also have a variety of gloss and matte finishes from which to choose. For example, adding varnish will add an appealing gloss to your brochure. This will prevent fingerprint smudges if you have a lot of dark colors in your brochure. But if there’s a lot of ink coverage in your design, your brochure will look glossy without the varnish. Your printer can help you determine the best choice. Now that you know how to design a brochure, you’re all set to go out there and make an impression. Just be sure it’s a lasting one. And once you’re pleased with your design and it expresses your brand perfectly, contact us to help you with the final printing of your brochure. We’re here to help you succeed.